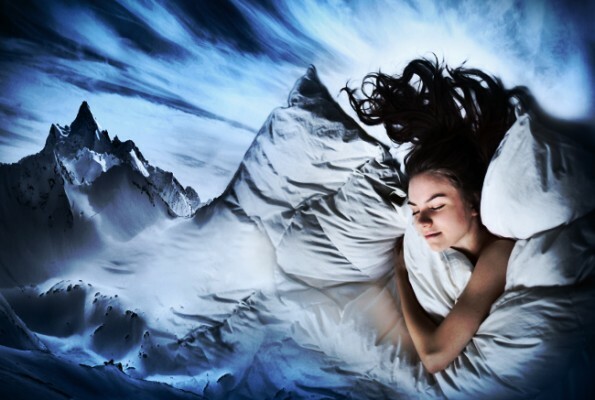 Dreams have always been one of the most studied topics in psychology. Just think of all of Freud’s work. Today physiology and neurobiology have increased the ability to investigate the great mysteries of the body and mind. Even dreams have taken on more defined connotations. Here are some curiosities scientists have discovered. Thanks to science, we know that everyone dreams, even those who wake up in the morning, for the umpteenth time, swearing they haven’t dreamed of anything. The only ones who don’t dream are people suffering from Charcot-Wilbrand syndrome. Men dream more often about men, while women dream equally of males and females characters. This is the result of research that developed an algorithm to recognize types of dreams. Apparently an ex-smoker has more realistic dreams than smokers or those who have never smoked. Well, there’s one more reason to stop smoking. During periods of high stress and anxiety, we are more likely to have nightmares. Being able to dispel agitation with relaxation techniques and exercise can break the stress cycle that leads to poor sleep quality, which in turn generates stress, leading to poor sleep quality that… You get the point, right? Dreaming is an ability of humans (and also of many animals) and being blind does not change this. People who are blind also dream, and especially those that were blind since birth, have dreams in which – smells, sounds, tastes and tactile sensations are brought to full power. Remembering your dreams is certainly a psychological characteristic, but it has been discovered that the brain of those who remember their dreams show different activities. Usually those who remember their dreams have “micro-awakenings” during the night which help the memorization. During the day, the activity of the areas devoted to external stimuli are above average. In a list of trivia based on scientific evidence, we must not leave out wacky theories. According to some dream theorists, snoring prevents dreaming. Some deny this, but many declare themselves convinced. Maybe have experienced firsthand that when you sleep next to a big snorer, dreaming really becomes a feat!